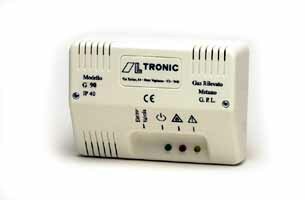 Gas detector made for controlling a 12V electrovalve, for methane bottle. 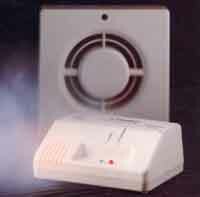 Smoke or air pollution detector, made for the automatic control of a 230V air cleaner. 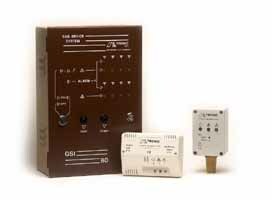 8 memorized zone centralized control installation for GSI (IP40) or GSI/S (IP54) detectors. Connection from 1/2" to 3". Connections from 1/2" to 3". Connections from 1/2 to 2", screwed. Maximal pressure 350 mBar. Connections from 2"1/2 to 3", flanged. Maximal pressure 200 mBar. The operating principle of M16/RM N.A. 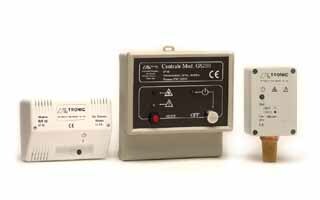 electrovalves is very simple and thus extremely safe. 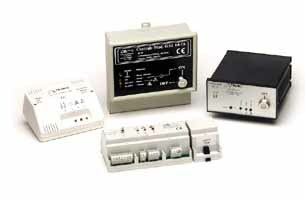 The coil, when under voltage supply, releases and springs up the closing device. The reset is manual, in order to allow the checking of the causes which lead to the gas supply interruption. During normal operation, there is no electric absorption, no wear and tear. The versions M16/RMOC N.A. 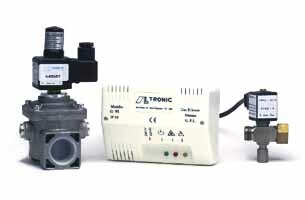 can be equipped with a button that allows manual closure, thus substituting the manual tap of the gas line, allowing also to periodically test the proper functioning of the solenoid valve.